Dan completed an exercise science degree prior to moving to Australia to complete his Physiotherapy (2001) and Master of Manual Therapy (2004) degrees. He later received his certification in IMS (intra muscular stimulation/dry needling). He wants to assist you in getting back up to speed as soon as possible, so you can get out and enjoy the outdoors. He enjoys working with elite and recreational athletes that like to push the boundaries of what they thought was possible and with non-athletes that want to improve their quality of life by moving and feeling better. Works with the National Paralympic Swim team, assists a local cancer survivors’ Dragon Boat team, and supplied physiotherapy services at the Canadian Junior Track and Field Championships. Has worked on various hospital wards including Intensive Care, Orthopaedics (Joint replacement and repair), and Neurosurgery. Away from the clinic, Dan is a competitive long distance runner (trail and marathon), cyclist and triathlete. He enjoys skiing and hiking with his friends and family. He spends a lot of time with his two small children and enjoys watching them develop a love for sports and the outdoors. Kyra grew up competing as a gymnast for 10 years and has coached competitive gymnastics for the past 14 years. 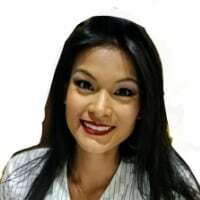 Kyra graduated from the University of Alberta with a Bachelor of Arts in Psychology and a Masters in Physiotherapy. As she was so comfortable working with young athletes, working with children in her role as a physio was a natural fit. 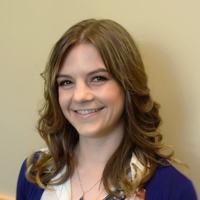 She has been involved with research studies on mental health in children, and most recently she worked in a private practice setting in Edmonton, treating infants and children for torticollis of the neck, development, and sport-related injury. She also treated adults for orthopedic, sport injury, and motor vehicle accident related injuries. Kyra specializes in treating aerialists, gymnasts, and dancers of all ages. With her background in gymnastics, she brings a unique background to her physiotherapy practice and strives to empower people of all ages to take control of their pain and live an active lifestyle. Kyra is excited to be now living in BC and all of us at Pure Form know she is going to be an excellent addition to our team and to our wonderful community. 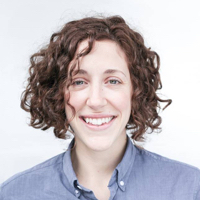 Away from the clinic, Kyra is a competitive gymnastics coach, trapeze artist, and runner. She enjoys cross-fit, skiing, and hiking with her friends and family. 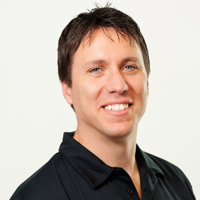 Guido has over 17 years of physiotherapy experience. 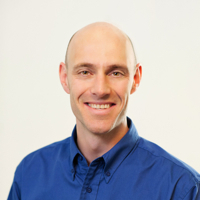 He has a speciality certification in manual therapy, is certified in IMS (intra muscular stimulation/dry needling), balance/vertigo treatment and running injury management. He treats people of all ages and abilities, in all aspects of sports injuries and pain. His special interest is rehabilitation before and after surgeries such as knee replacements and rotator cuff repairs. Graduate of the University of Western Ontario, Bachelor degree in Physical Therapy, 1997. Specialty credentialing in Manual/Manipulative Therapy – Fellow of the Canadian Academy of Manipulative Therapy (FCAMPT) – Orthopaedic Division. Specialty credentialing in Acupuncture/Intramuscular stimulation -Certification from the Acupuncture Foundation of Canada Institute (CAFCI). Mentor for the Orthopaedic Division of the Canadian Physiotherapy Association. Treats people of all ages and abilities. Treats all aspects of sports injuries, orthopaedic injuries and myofascial pain. Experience in treating athletes from a variety of sports at the provincial, national and international level. Special interest in pre and post-surgical rehabilitation. Personal sport interests in skiing, biking and strength training. Spends time involved with his two daughters competitive level soccer, basketball and track & field events. Desiree received her physiotherapy training in sunny Perth, Australia. She was the team physio for an “Aussie Rules” football team and has worked as a kinesiologist and personal trainer. Desiree later received her Dry Needling (IMS) certification. Her broad fitness and recreation background in running, soccer, hiking, skiing, yoga and gardening help her to understand her patients’ desire to get back to their outdoor pursuits. 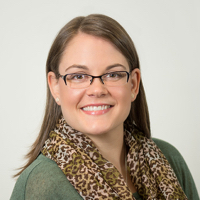 Desiree’s clinical interests are in manual therapy, sports injuries, post-surgical rehabilitation, exercise rehabilitation, vertigo/dizziness/balance disorders, and whiplash. Kinetacore Level 1 Functional Dry Needling: Applications for Pain Management and Sports Injuries. Kinetacore Function Therapeutics: Applications for the Clinical Setting. Worked as the physiotherapist for an Australian Rules Football Club for 2 years. While in University she completed a literature review on whiplash. Desiree played competitive soccer through most of her childhood and into her early 20’s. Outside the clinic Desiree enjoys running, hiking, skiing, and has recently started gardening and practicing yoga. Lisa became interested in physiotherapy after attending physio as a young competitive gymnast. 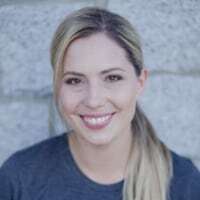 She spent four years working in an acute hospital setting after graduating from the University of British Columbia with a Bachelor of Science in Physical Therapy in 2005. She then moved on to the Private Practice setting after having her children. 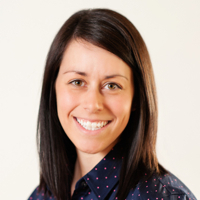 With her broad skill set in manual therapy, exercise therapy and sports rehabilitation, Lisa can help children and adults of all ages to feel better and move with less pain. Specialty credentialing in Acupuncture -Certification from the Acupuncture Foundation of Canada Institute (CAFCI). Has worked with National level athletes for soccer and rugby. Special interest in Women’s Health; however, treats all ages and abilities, male and female. Has worked on numerous hospital wards including Intensive Care, Acute Medical, Cardiac, Surgical, General Rehabilitation, and Outpatients (Hip & Knee Replacement Program). Away from the clinic, Lisa enjoys running, going to the gym, snow sports, reading and spending time with friends and family. She is a mom to two school-aged children and delights in watching them grow and develop. Louisa has had a love for sport since she was a kid. Growing up she participated in gymnastics and figure skating, played soccer, football, volleyball, and lived for basketball. She has always loved watching sports as well, and remembers revering the people that got to run out on the court at Vancouver Grizzlies basketball games to help the injured athletes. As a grade ten student at Brookswood Secondary Louisa attended a “Kinesiology Day” at UBC, and has known since then that she wanted a job that allowed her to be involved with sport and exercise in some way. Louisa spent time exploring a few fields related to sport – she studied kinesiology, worked as a personal trainer, and studied sport and exercise psychology. Despite enjoying those paths, she always knew on some level that physiotherapy was where she wanted to end up. As a physiotherapist with a background in sport and exercise psychology Louisa has a great appreciation for how factors like stress and pain can influence motivation, movement, and recovery from injury. She has a passion for helping people get back to the sport or activity they love, and is happy to report that she is now one of those people that gets to run out on the court to help injured athletes! In addition to sports injuries, Louisa likes treating neck and back pain, shoulder dysfunction, and foot and ankle issues. 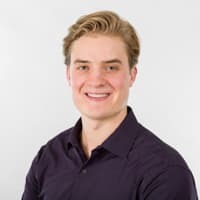 Riley has a Bachelor of Kinesiology from the University of British Columbia, where he established a keen interest in functional anatomy and human motor control. He has always appreciated leading an active lifestyle but it wasn’t until his experience as a Kinesiologist for those with chronic disease he then gained a strong appreciation for utilizing exercise as medicine to promote physical, mental, and emotional wellbeing. Riley has a Bachelor of Kinesiology from the University of British Columbia, where he established a keen interest in functional anatomy and human motor control. He has always appreciated leading an active lifestyle but it wasn’t until his experience as a Kinesiologist for those with chronic disease he then gained a strong appreciation for utilizing exercise as medicine to promote physical, mental, and emotional wellbeing. Fueled with a desire to help others realize their functional potential, Riley went on to receive his Master of Science in Physical Therapy from the University of Toronto. He has obtained a wide variety of experience treating people of all ages with an emphasis on sports injuries, pre/post-surgical rehabilitation and neurological disorders. Riley is passionate in helping you reach your goals, whether it be getting you back to your sport or simply empowering you to move well in order to pursue the activities you love. He delivers a personalized approach through current evidence-based care using a combination of manual therapy, therapeutic exercise and education. He is also committed to continually expanding his skill set through continuing education to ensure you receive the best outcome possible. Away from the clinic, Riley enjoys catching a session of drop-in sports, going to the gym, skiing the local mountains, running with his dog and simply enjoying the outdoors with family and friends. Malyne is a physiotherapist graduate from Belgium. After her master’s in physiotherapy, she worked as a self-employed physiotherapist in institutions such as hospitals, private clinics, and private/home care, and has worked with patients of all ages. She has also had the opportunity to travel and practice physiotherapy in multiple countries including Belgium, France, and French Guyana. Malyne chose to become a physiotherapist because she is passionate about human movement and the function of the human body. She is determined to build the right treatment for each and every patient. Malyne’s clinical interests are in manual therapy, sport injuries, neurological rehabilitation and geriatrics. She is planning to get her IMS certification this upcoming year. Bachelor of Physiotherapy, Haute Ecole Libre de Bruxelles 2007. Master’s of Physiotherapy, Haute Ecole Libre de Bruxelles,2009. Certification in manual therapy for the management of musculoskeletal disorders of the dorsal-lumbosacral spine. S.E.R.K Belgium,2013. Aside from work, Malyne enjoys doing Crossfit, hikes and walking with her 110 pound great dane, and spending time with her family and friends. Michelle has always had a passion for movement and sport. From a young age she was involved in running, rep fastpitch and figure skating. In high school, while many teenage girls were finding ways to avoid gym class she remembers signing up for as many physical activities as possible. Movement and exercise were invigorating, healing and fun! Michelle’s love for sport and exercise has never wavered and remains a lifelong commitment essential to her daily well-being. As a massage therapist, Michelle’s mission is to help people get back into their bodies and experience their innate ability to heal, as well as their full capacity for strength and movement. She believes massage therapy can act as a powerful tool to help patients open a window of opportunity where they can move without pain and so educate their bodies towards a new possibility of normal function. She loves collaborating with patients who are working towards a physical challenge; be it a running race, a specific strength goal or upcoming travel adventure. Michelle enjoys treatments based on problem-solving, patient participation and effective, precise manual therapy. She also emphasizes patient education, so as to empower people to be more mindful and realize permanent and lasting changes in how they experience their bodies. Outside of the clinic she loves yoga, strength training and getting outside into the mountains, highlights include completing R2R of the Grand Canyon twice (2012 & 2017) and successfully summiting Mt Cotopaxi, Ecuador at 19,347ft in 2015. She and her husband continue to plan travel and hiking adventures and hope to instill their love of the outdoors in their growing family.